Celebrations Group (Celebrations) is the leading provider of commercial grade Christmas product in New Zealand.  Celebrations has a long history of designing, procuring and installing Christmas décor to Shopping Centres, Hotels & Venues, Retail Chains, Business Associations, Main streets and Councils. Celebrations is well-known throughout New Zealand for supplying high grade quality décor. The Celebrations Group team have a unique skill sets that sets the company apart from other suppliers. Celebrations has an in-house design capability that offers customers the flexibility to develop concepts from the traditional to bespoke, Celebrations strong logistics pedigree allows the company to access large scale elements such as pre-decorated trees and garlands, giant trees, outdoor decorations and outdoor lighting. A Customer Care program that provides professional advice with respect to product care and an Installation team that can provide you with advice and installation service if required.